4. The vampires from Bram Stoker’s Dracula. We all know that there are going to be a lot of sparkly-skinned vampires running around this year, or even perhaps what has become the classic look for the vampire: black hair with widow’s peak and cape. But what was Stoker’s real vision for these monsters of the night? Now for the brides of Dracula. In Stoker’s novel, the three women that live with Dracula are never referred to as his brides. Two are described as having dark hair, while one, the leader, is desrcibed as being blonde. The only description Stoker really gives is of there “high aquiline noses, like the Count’s”. I could not find any descriptions of their clothing, but in almost ever photo of them in Google images, they are wearing long, white flowing gowns. Posted on October 18, 2010 October 13, 2010 by LN	This entry was posted in Bram Stoker, Gothic, Halloween and tagged brides of dracula costume, dracula costume, Halloween costume. Bookmark the permalink. 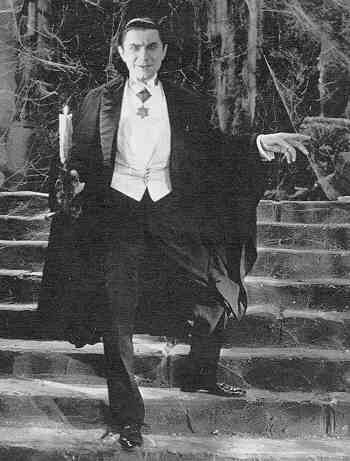 I like to see the story of Dracula as a mirror of our fears related to the theme of immortality. 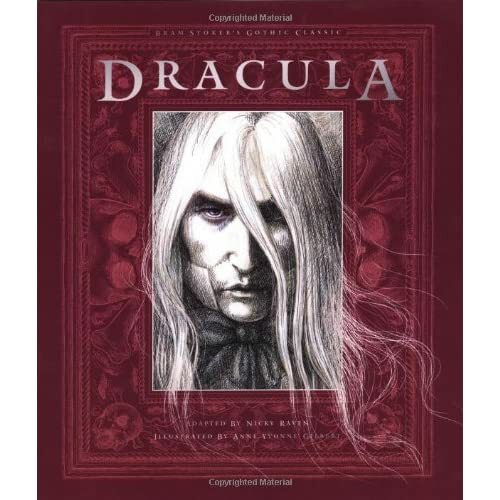 Dracula and vampires embody the symbols and inner-desires of humanity’s need to feel immortal to give meaning to life . Moreover, with modernity comes a lack of reflexivity. Vampire’s are in a sense an embodiment of historicism. Vampires create a living historical figure that often relates to the modern man how times have changed, but also that simulacra is constantly masked by modernity’s pushing into the future at the expense of the tradition and acknowledged history.